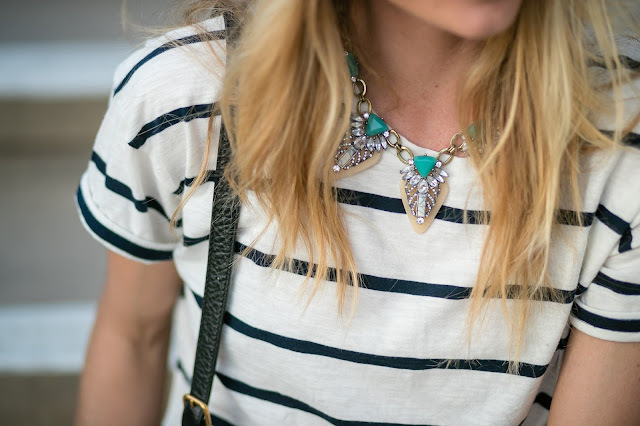 floral trends and make them pop with a contrasting pattern. 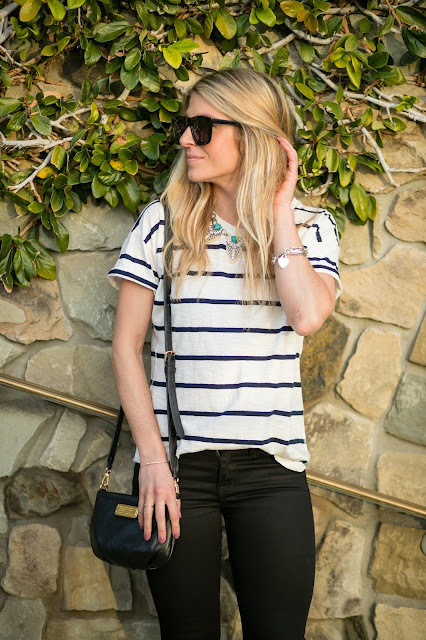 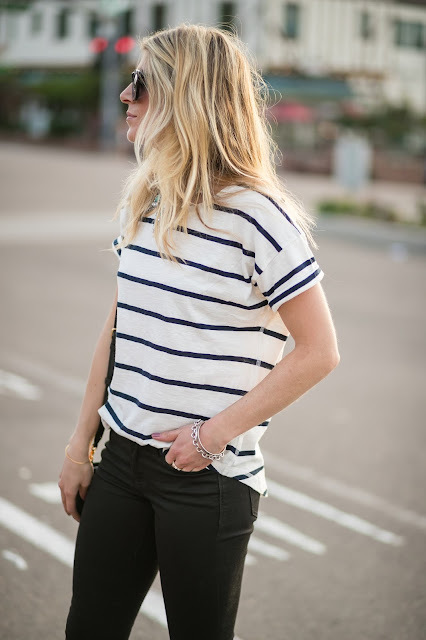 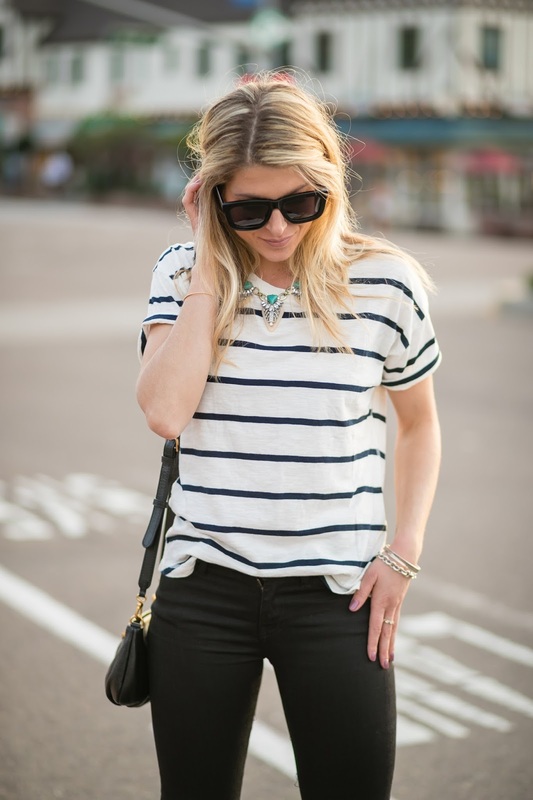 What are some of your favorite ways to wear stripes? 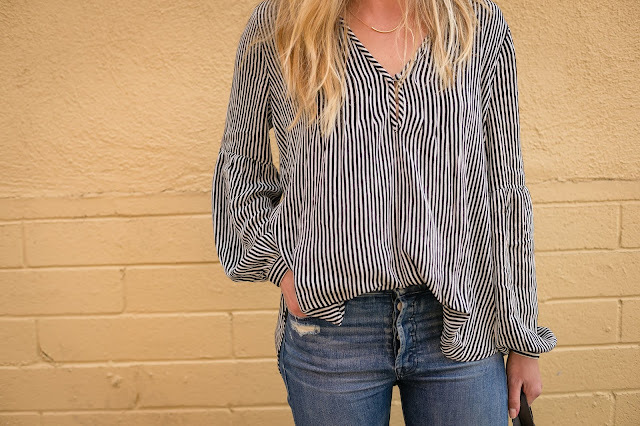 bell sleeve that buttons at the wrist – flowy and chic. a favor and buy them! 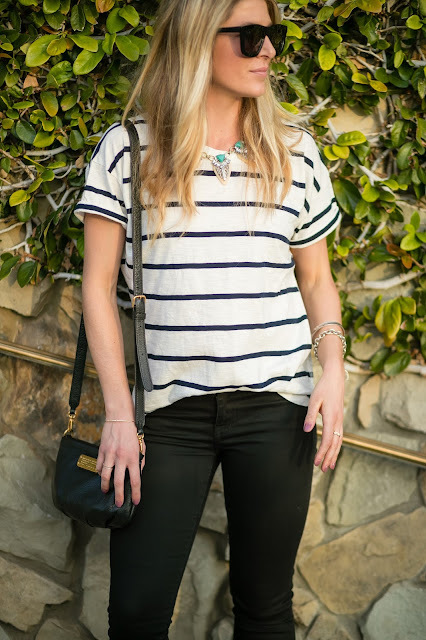 For those of you who have been following me for some time you know by now that I am ALL about that casual style. I think being comfortable and confident in what you wear, makes your style come to life. Adding something like a statement necklace or some earrings can make even the simplest outfit come to life.